In this Delhi Agra Jaipur tour of 4 nights and 5 days, visit all the major locations of the magnificent cities of the Golden Triangle – Delhi, Agra, and Jaipur. Visit the famous monuments and forts such as Jama Masjid and Agra fort and witness the heritage of India and its vibrancy. 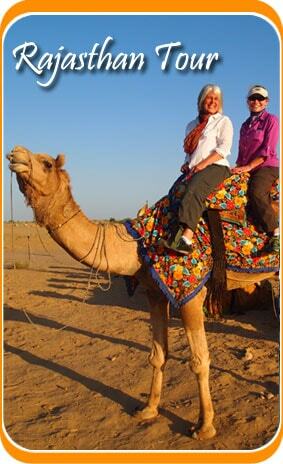 Come and embark upon a journey with Travelsite India and cherish these memories forever!!. City tour of Delhi and its local market. Visit Agra and its famous monuments. Upon your arrival in Delhi International Airport, Travelsite India representative will assist you about the further tour arrangements with the require documents and will drop you at the selected Hotel by you. Overnight stay at the hotel. After Breakfast at the hotel, you will proceed for the Delhi City Tour followed by a full day guide. He will explain you about the Delhi historical city which covers the QutabMinar, Humayun’s tomb, India Gate, Jama Masjid, Red fort, President House and the Parliament House. Later on proceed for Jaipur. Upon arrival at Jaipur, our representative will assist you to transfer to the designated Hotel. Overnight stay at the hotel. After a healthy breakfast at the hotel, proceed for an excursion tour of the Amber fort and enjoy the Elephant Ride. There after proceed for Jaipur city tour in the afternoon and vist the Hawa Mahal, the City Palace, Museum and Jantar Mantar Observatory. Overnight stay at the hotel. After Breakfastat the hotel, proceed for Agra. En-route visit to Fatehpur Sikri. FatehpurSikri is famous as "Buland Darwaza" which is situated on the pick. Overnight stay at the hotel. Early Morning Visit the most beautiful “TajMahal” one of the wonders of the world. Back to the hotel and have your breakfast. Thereafter proceed for Agra City Tour and visit the Agra fort, Akbar’s tomb at Sikandra and Itmad-ud-Daulah’s tomb. Later on proceed for Delhi, upon arrival in Delhi Airport, our representative will assist you to board a flight for your onward destinations. Your 5 Days Delhi Agra Jaipur Tour comes to an end.